IndiaGMInfo - Bt brinjal Vs. HT mustard: It only gets worse!! 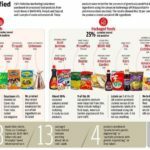 You are here : IndiaGMInfo » Uncategorized » Bt brinjal Vs. HT mustard: It only gets worse!! Bt brinjal Vs. HT mustard: It only gets worse!! You can download a pdf version of this note here. When Government of India placed Bt brinjal on an indefinite moratorium on February 9th 2010, it was with an explicit admission that the regulatory system was faulty, that the risk assessment regime was not robust and that the testing systems were highly inadequate. The government also explicitly said that while the moratorium was in place, there should be significant improvements in the regulatory systems. So, it is only natural that citizens expect that 6 years after the Bt brinjal moratorium decision, that there would be indeed be improvements in regulation when GM HT mustard application is being processed by the regulators. However, that is simply not the case. Regulation has become worse, and we show you how. Mostly in West Bengal, Odisha, Bihar, Gujarat etc. Mostly in Rajasthan, Uttar Pradesh, Madhya Pradesh, Punjab, Bihar, Haryana, Gujarat, Assam etc. Field trials were allowed by different states except Bihar, Odisha, West Bengal FTs not allowed by most states – only Rajasthan (which later destroyed a trial), Punjab & Delhi allowed. Now, they are also saying NO. Effects on non-target and beneficial insects: 2 years (2004 and 2005) BRL trials: 3 seasons – we had already shown how the observations are untenable in nature! NOW, AFTER CIVIL SOCIETY EVIDENCE ON GM MUSTARD’S LACK OF YIELD SUPERIORITY, IT IS BEING SAID THAT YIELD RELATED AGRONOMIC EVALUATION IS NOT THE MANDATE OF GEAC! BEFORE Large Scale Trials or BRL II trials No Processes adopted for even internal review of any material by GEAC. From all information available, it appears that though they placed their deep appreciation at the way the biosafety dossier was compiled and submitted, there was no review taken up by GEAC in its 121st meeting on 18th July 2014 of the material supplied by CGMCP. On 29th May 2006, MoEF uploaded a note on Bt brinjal and Mahyco’s presentation on the website. The first meeting was held on 25th September 2006. The Committee was re-constituted on 30/11/2006 when certain members did not come on board and join the Committee. When the Conflict of Interest of the Chair Dr Deepak Pental was pointed out by civil society groups, either he stepped down himself or was asked to step down. The Committee then worked with Prof C R Babu as its Chair and finished its work by 3/7/2007. Based on the EC-I’s recommendations, GEAC in its 79th meeting on August 8th 2007 approved LSTs of Bt brinjal. The report of the Expert Committee (1) presents its ToR, constitution, methodology adopted and conclusions/recommendations clearly, unlike the AFES document in the case of GM mustard. The EC also answered the main comments received from public, theme by theme and point by point in its report. It also added numerous additional tests to be done and conditions under which the LST may be permitted. Here, the public were given 45 days’ time for feedback, further extended later on by 15 more days. · External experts, who are non-GEAC members were brought on board into the Expert Committees. Dr Parasuraman of TISS for socio-economic impact analysis, for instance. And for designing protocols for assessing such impacts. THIS SHOWS A HUMBLE ACCEPTANCE THAT GEAC DOES NOT HAVE ALL THE EXPERTISE NEEDED AND THERE IS MUCH EXPERTISE OUT THIS REGULATORY BODY IN A VAST COUNTRY LIKE INDIA. · Data was put out, though incrementally, based on public pressure, as submitted by the crop developer (no screening or sanitization happened of such data). · Collection of public feedback was done first, before constituting a committee, and the committee took such comments on board apart from looking at all the available data itself. · The Committee’s ToR was also around suggesting additional studies and improving protocols which they tried to do. · Public was given 45 days’ time for feedback. · The Committee not only made its full report including methodology adopted public, but also responded to comments received to justify its decisions and recommendations. · GEAC discussed the Committee’s main recommendations at every stage of the process, after each meeting of the Committee! AFTERLSTs/BRL II trials were also completed GEAC forms an internal Sub-Committee in January 2016, after receiving an application in September 2015 from CGMCP and after hearing a personal presentation from Dr Deepak Pental in December 2015. This 7-member committee, also supported by the Member Secretary had its first meeting on 2nd February 2016 and submitted its report for consideration by GEAC on 5th February 2016. Subsequent processes were between this Committee and the Crop Developer and the whole process was undertaken as though no other independent scrutiny was necessary. The sub-committee’s report never came up for review in the GEAC meetings (August 11th 2016). The sub-committee report is not the same as the AEFS document that has been put up for public feedback – the GEAC members did not receive or review such an AEFS document. Public are now being asked to comment on a pre-concluded AEFS document, not reviewed by GEAC itself, which incorporates the sub-committee report but also has many other sections written up by someone. The time being given is only 30 days. In the case of Bt brinjal, feedback was sent to GEAC for months, from January 2009 onwards and all of it was taken on board including from a campaign called I Am No Lab Rat. No data has been shared in the public domain so far. This, despite repeated CIC orders and earlier SC & CIC orders. In the 91st meeting of the GEAC on 14/1/2009, it was decided to form an expert committee (referred to hereinafter as ECII) to review findings of the large scale trials and other related biosafety studies on Bt brinjal. Such a Committee got constituted on 29th May 2009. One of the terms of reference of ECII was to review the comments from NGOs, national and international experts. The Committee had a tenure of 3 months. The 91st meeting had decided to create a Sub Committee with representatives from different ministries and institutes, and the ToR decided in the meeting was both review of the adequacy of data, suggestion for further studies if any, and review of representations received by GEAC. This report has a clear section which had responses to the representations received from experts and others amongst the public. 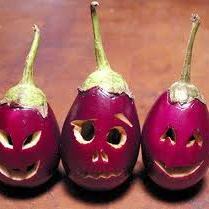 After GEAC cleared Bt brinjal on October 14th 2009 ??? GEAC left the final decision for approval on the Minister for Environment and Forests given that a GM food crop would be allowed in the country for the very first time if permitted. On October 17th 2009, the then Environment Minister announced that he will collect written feedback from the public till December 2009 (2.5 months), after which he also organized a 7-city public consultations tour in which more than 8000 citizens participated directly and got an opportunity to share their analysis, views and concerns. Hundreds of citizens wrote in. The Minister also sought the views of many state governments. 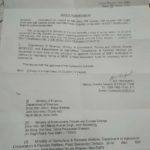 The same was compiled in detail by Centre for Environment Education (CEE) and along with this, the Minister announced his decision of an indefinite moratorium on Bt brinjal on February 9th 2009. To this day, Bt brinjal has not proven itself safe and made a comeback.